If your looking for a book to completely lose yourself in this summer then look no further than this latest novel from Ali McNamara. I read Ali's previous book and sadly felt that the magic elements were a little too make believe for my liking, but I'm so glad I've given Ali another chance with The Summer of Serendipity. 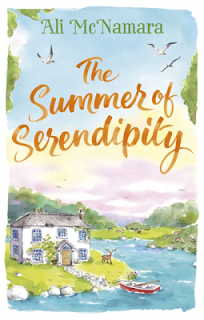 The Summer of Serendipity sees our main character, Serendipity Parker - or Ren as she likes to be known - and her colleague Kiki Fisher head to Ireland for their latest job. Ren is a property seeker and is looking for the perfect home for her latest client. No sooner as the pair arrive at their hotel we are introduced to their love interests - Finn and Eddie respectively - which sets the book up nicely. Ren and Kiki immediately start their search but to know avail, that is until they take a boat trip across the lake during some down time. As they are being rowed, Ren spots what appears to be the perfect house and ask's their boat man, Jackie, how they can locate said house. The girls are informed that the house is known as The Welcome House, which has been around for as long as anyone can recall. Once back on dry land they ask Finn and Eddie more about the house, and more importantly who owns it. 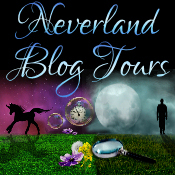 The girls are informed that no-one knows who the owner of the house is and after locating it and discovering it to be unlocked and stocked with the bare basics, Ren makes it her mission to try and uncover the secrets of the Welcome House. 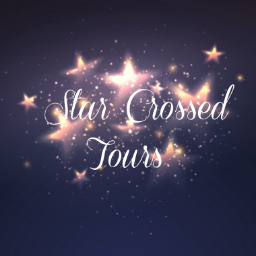 What follows is a tale of discovery - Ren looks in to the history of the house and stories of Irish legends as well as discovering more about her self and her heart where Finn is involved. The Summer of Serendipity is a fun ( I adored Kiki and her witty one liners! ) and gorgeous summery book that reminded me a little of the early Cecelia Ahern novels!